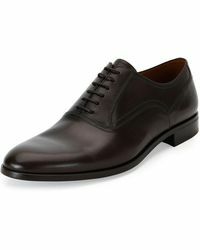 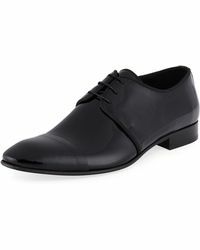 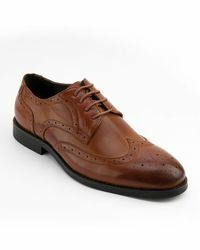 An effortless way to upgrade 9-5 looks and evening outfits, dress shoes are a man's essential in every form. 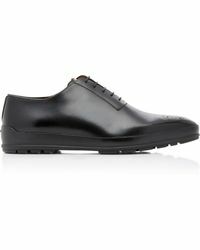 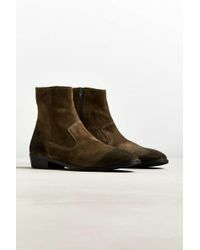 Constructed with uppers in leather and suede and soles in everything from rubber to crepe, designs from an Oxford to a Derby sit within the dress shoe category. 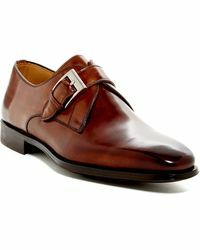 Show a glimpse of your ankle come summer with sleek loafers, and stay warm on cold days with lace-up brogue boots. 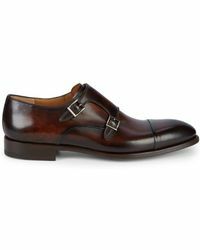 Square toes, monk straps and wingtips feature on bold pairs, while stripped-back styles offer nothing but a sleek cap toe. 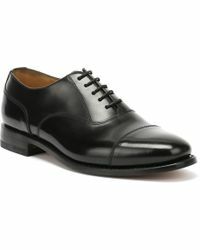 Energize your suit and utilise your dress shoe collection every day.